Congratulations! A wedding is one of life's great moments - a time of solemn commitment and also of celebration, love, feasting and joy. We’re very pleased to celebrate with you. 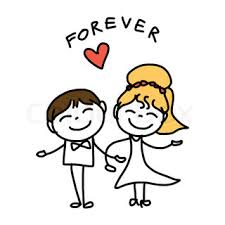 If you would like to know more about getting married here, please get in touch with Avril Bridges at the office Tel 01746 767174. She will be pleased to talk things through with you and explain what happens. You will be invited to a marriage preparation day a few months before your wedding day and put in touch with the person who will take your wedding service. A few days before your wedding there will be a rehearsal in church. 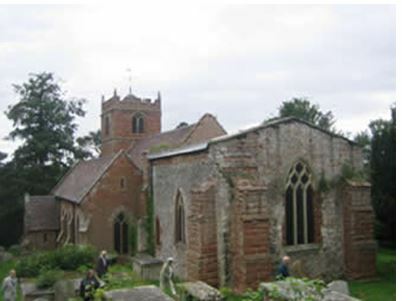 The Church of St Mary Magdalene Quatford is about three miles from the centre of Bridgnorth on the Kidderminster road in the picturesque village of Quatford. St Mary’s Church stands on a sandstone outcrop overlooking the river Severn. Consecrated in 1086, the church is constructed of tufa and sandstone. It was the original Church of the community of Bridgnorth. It has recently been well and carefully restored. The Church and churchyard is on a steep hill. Sheep are regularly brought in from a local farm to keep the grass under control. We have car parking and an outdoor lift for those who find the steps difficult. Our principal act of worship takes place each Sunday at 9.00 am. This is when your banns will be read on the first three Sundays of the month two months before your wedding day. You are welcome to come along on any or all of these three Sundays or at any other time. It will give you a chance to talk to the organist, and to discuss flowers and any other practical arrangements for your wedding service. Come along with the family, join us for worship and check out the welcome. We often do something different when there is a fifth Sunday in the month. Please see the notice board for details. Coffee is usually available after every service for people to meet and greet and chat.